But the pressure for testimonials can leave some looking for a way to cheat the system by faking testimonials. Will prospective clients even know if the testimonial on your website is made up? Well, it's more than just a question of sneaking your fake testimonials past consumers. Made up reviews aren't just unethical, they are against Google's guidelines and against the law. Going against Google guidelines might not seem like a big deal. But not following the rules to the world's biggest search engine could have huge ramifications for your business. There are over 4 billion internet users across the globe, 3.5 billion are making Google searches every day. This means that Google is responsible for over 90% of searches made. Your potential clients are more than likely heading to Google to search for answers to their problems, and your business might offer them the perfect solution. But if you don't play nice with Google's guidelines, you'll be missing out. Google's algorithm is extremely smart and very hard to deceive. The Google algorithm is what is used to determine what websites show up on the search results page of a Google search. The first page of results is lucrative, and very competitive real estate. Thousands of factors play into this algorithm, but one large factor is your online reputation, which is judged by your extent of online testimonials. Google users can flag suspicious or fake reviews, but the algorithm is also smart enough to flag your account if it suspects suspicious review activity. Google, Yelp, TripAdvisor and many other review platforms have anti-fraud techniques used to flag suspicious reviews. With each flag against your company, your website ranking falls lower and lower. Meaning you fall back further and further on the results page. This might not seem too detrimental, but keep in mind how many billions of consumers hit Google search when looking for products. Then keep in mind that 75% of these searchers never look past the first page. If your potential to fall behind on Google search results pages aren't a strong enough warning, perhaps the legal ramifications might be. Publishing fake testimonials violates both state and federal consumer protections and deceptive trade practice laws. Any practice that can be considered false and deceitful advertising will leave you vulnerable to state laws. Faking testimonials certainly falls under this category. And it isn't just state laws you're breaking. 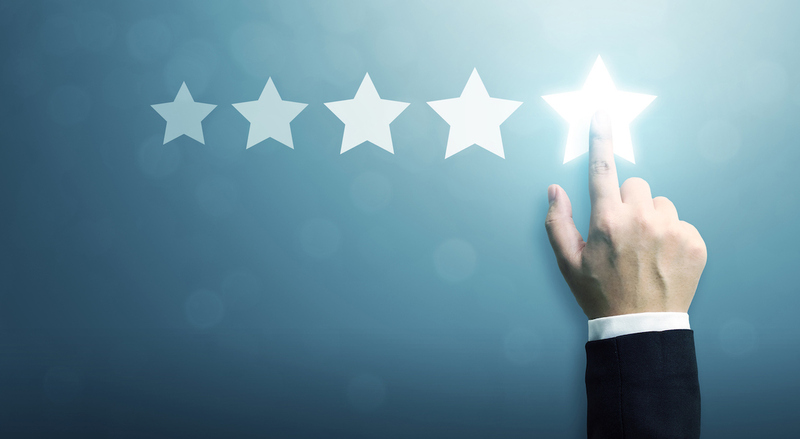 Writing fake reviews opens the door to charges by the Federal Trade Commission (FTC). In 2013, nearly 20 local businesses were fined over $350,000 when they were found guilty of faking testimonials on sites like Yelp, Urbanspoon, TripAdvisor, and others. Yes, positive, five-star testimonials are very important for businesses, especially small and local businesses who don't have a huge reputation. But consumers are savvy and while seeing 100 five star reviews, in theory, should persuade buyers—they know better. Buyers want to see authenticity and transparency with the businesses they interact with. The ideal rating for reviews is between 4.2-4.5 stars and 82% of shoppers seek out negative reviews. Why? Because they want to see how you handled your negative testimonial. Consumers know you cannot please every client every time, but what matters most is how you amended their unhappy experience. The temptation to create fake, positive reviews is certainly a big one. But it isn't worth the legal risk. If you have questions about your review acquiring process, reach out today to make sure you are on the right side of the law.